Denby Jet Grey Large Mug 0.4 Ltr ot 14 Fl oz Urban style for home living, the Jet collection combines matt and gloss finishes for a contemporary look with timeless appeal. 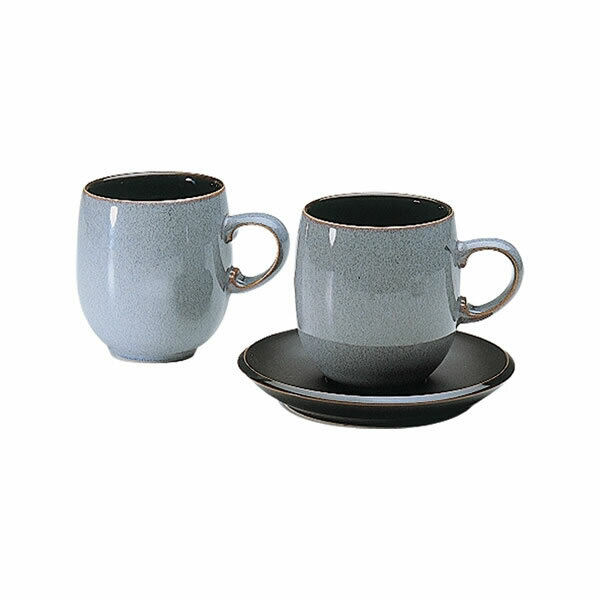 Whether serving coffee or hosting a dinner party, Denby Jet adds eye catching style. If you like Jet, you'll also love Jet Dots and Jet Stripes.